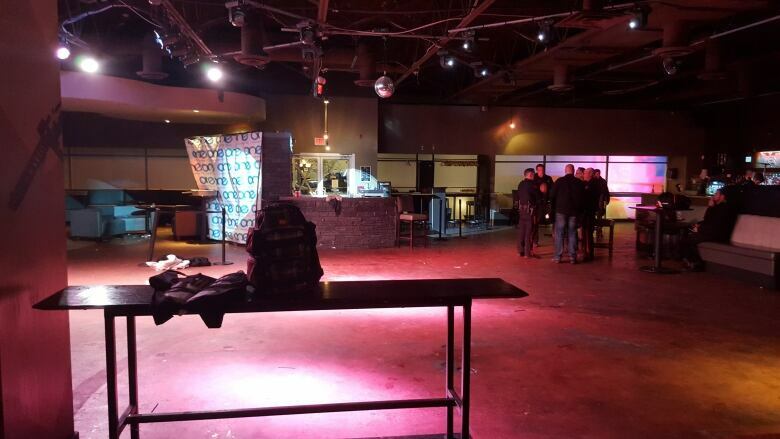 Police are investigating after a shooting at Ten Nightclub on 10th Avenue S.W. early Sunday morning sent one man in his 30s to hospital with serious injuries to his torso. Early on Sunday morning, a man got out of a car in front of Ten X Nightclub, walked to the front door with a gun and starting shooting into the bar. Police have charged two men in relation to the incident on 10th Avenue S.W. which sent a 38-year-old man to hospital with serious injuries to his torso. Spencer Wallace is a bouncer at the bar and was standing mere feet away from the gunman. "Out of nowhere, we had a little bit of a break in people coming in and I'm standing right by the front door. If I'd been standing two feet in front of where I was standing, I could have been shot, I could have been killed today," said Wallace. "I turned and I see the guy catch it right in the chest. He drops." According to Wallace, one shot entered the bar and the shooter squeezed off two more while wrestling with front door staff, but police say several shots were fired into the club. "Two bouncers that work out front, I'm not going to name them, but they grabbed this guy immediately," he said. "They pounced on him. Those guys are heroes and they deserve nothing but praise, they stopped this from being so much worse." Police from the gang suppression unit happened to be across the street from the bar at the time of the shooting and were quickly on scene, taking the shooter and an accomplice into custody. "A passenger in the vehicle attempted to assist the shooter and was able to leave the scene before police arrived. His identity and whereabouts are unknown," according to police. A third person in the car was arrested along with the shooter and has been charged. "I saw the kid that did the shooting. I saw him face down in the snow with an officer on top of him and the gun that he used sitting on the pavement," said Wallace. "I had a police officer tell me to move from where I was standing because the hammer on the gun was still cocked back and they didn't know how sensitive the trigger was." Police continue to investigate the shooting, but Wallace says he's done with his time as security. "I just do this on the weekends for extra cash. I have a day job and I am never putting on a security shirt for the rest of my life," he said. "I'm done, I'm done forever. It's not worth it. It's not worth getting shot over. I'm not doing this anymore, I'm quitting this forever." Hours before the nightclub shooting, a man reported that he had been shot in the leg by a passing car in the 5500 block of Eighth Avenue S.E. The victim in that shooting was known to police and taken to hospital in non-life-threatening condition. The victim in the Ten shooting is expected to survive.